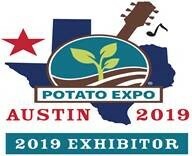 M&P Engineering will be returning to exhibit at The Potato Expo, Austin, Texas from January 9th to 10th, 2019. Potato Expo is the largest conference and trade show for the potato industry in North America, giving insights into the latest innovations, products and services for all stages through the international supply chain.VISIT US: BOOTH 930. WEDNESDAY 9TH JANUARY 2019 – THURSDAY 10TH JANUARY 2019.